In honor of the royal wedding this past weekend, I wanted to share something extra fancy this week. 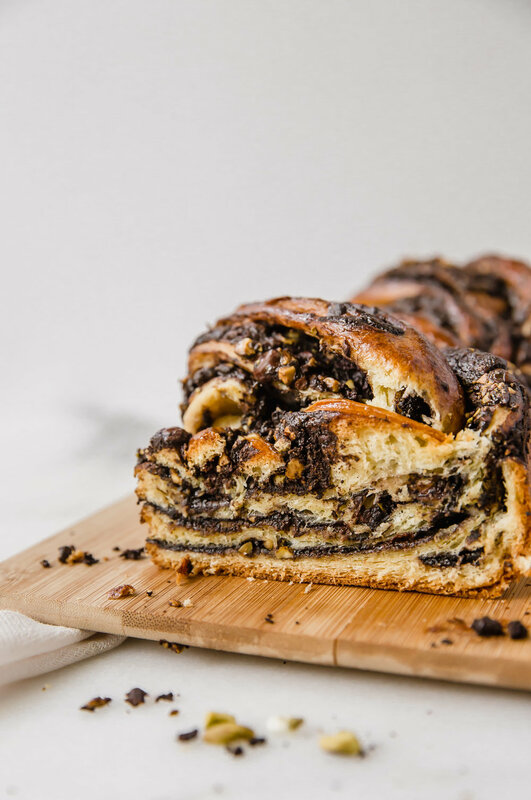 Babka. 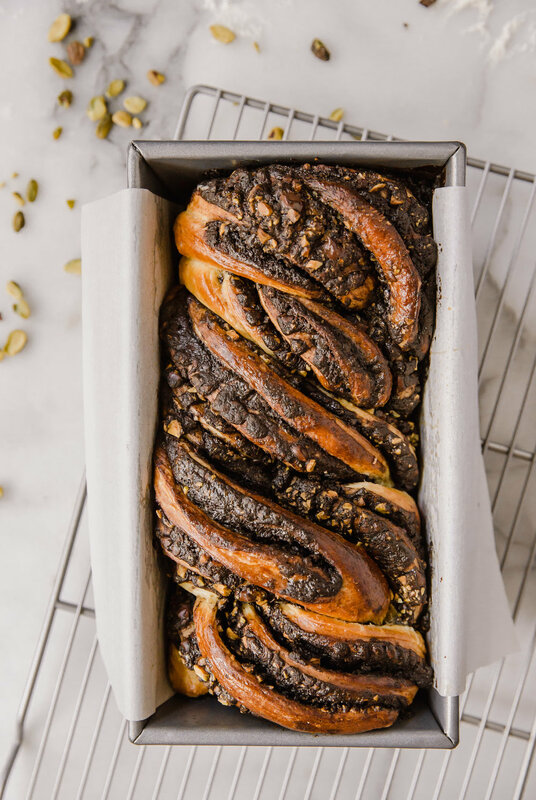 My obsession with babka began about a year ago when I was first introduced to the beautiful, swirly bread via Pinterest. I assumed it was extremely complicated to make, so I didn’t even bother looking up a recipe to see. Instead, I simply admired these bread masterpieces from afar. 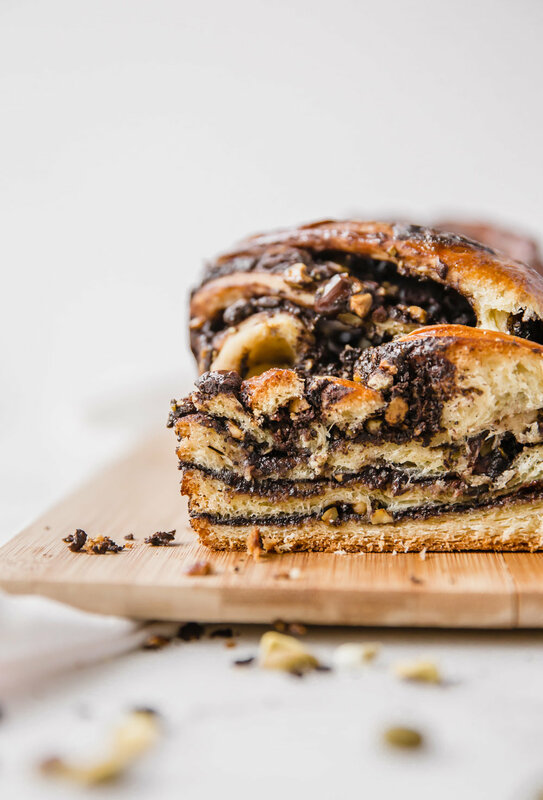 Then one morning I woke up to a fresh babka on my kitchen countertop. I honestly thought I was dreaming! The night before, one of Alex’s study abroad friends had stayed at our apartment because he was in town for a med school interview. And being the sweet guy that he is, he brought us homemade babka as a thank you gift!!!! I was so excited and slightly delusional from this unexpected gift that I cut off a slice immediately, never mind the fact that I was on my out the door to go work out. After a year of admiring this bread only visually, I finally had the opportunity to taste it. And yes, this bread tastes as dreamy as it looks. Within seconds the piece was gone, and I knew that I had to finally try to make babka myself. To my great relief I found out that babka actually isn’t that complicated to make. It can certainly look intimating based on the number of steps and length of time is takes, but trust me, each step is uncomplicated and easy to follow, and the majority of the time required is simply waiting time. 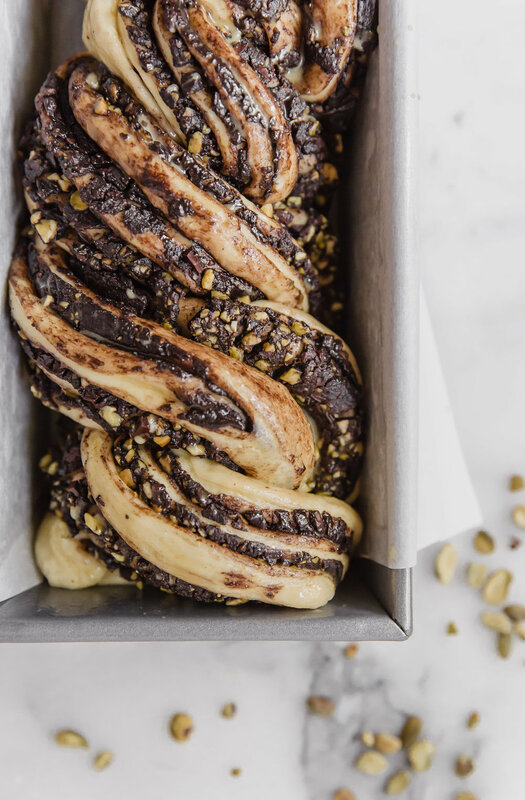 This babka has a dark chocolate filling, which is topped with pistachios and more dark chocolate. 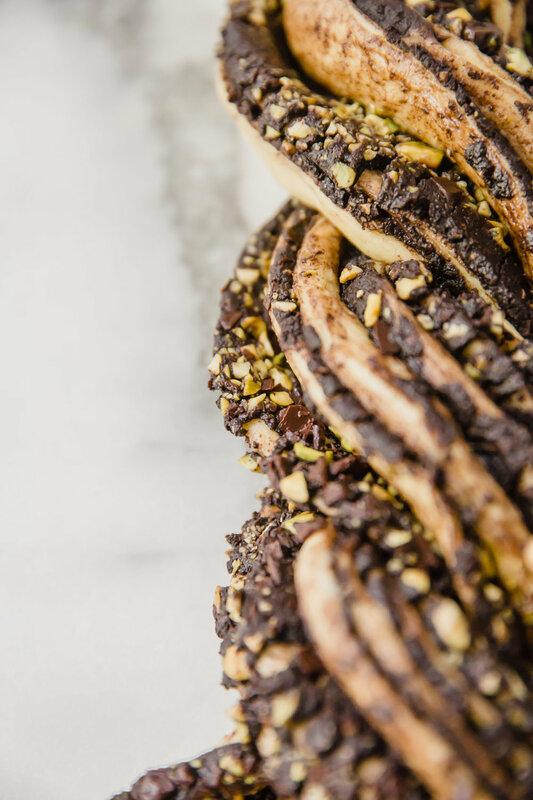 Its swirl consistency provides an interesting play between the light, fluffy bread, and the rich, dense chocolate swirls. 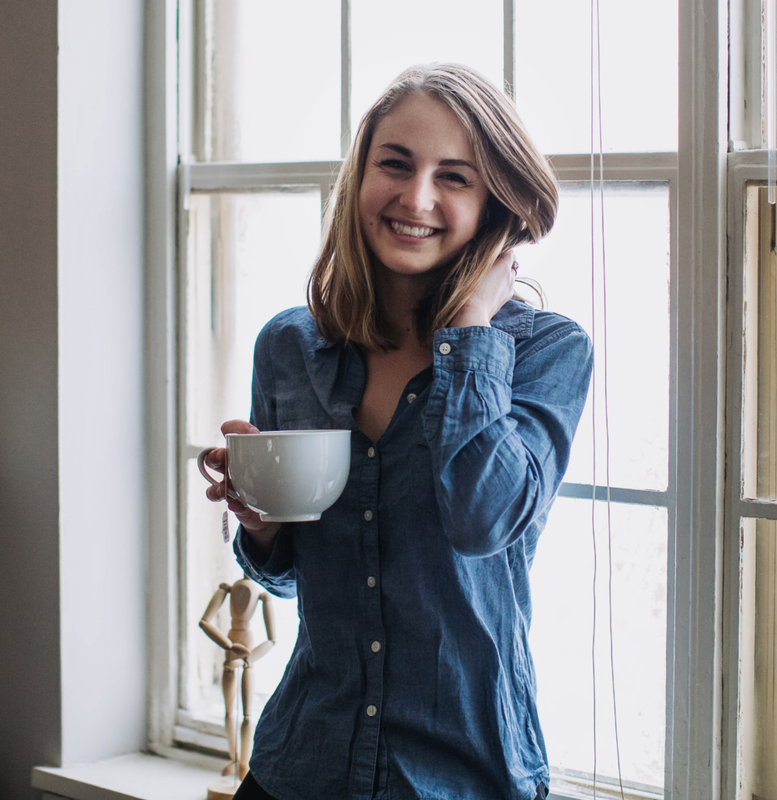 Serve it at your next brunch, or at a tea party, or use it as a hostess gift and you will be sure to impress! Scald the milk: heat the milk in a saucepan until tiny bubbles form at the edge and the temperature reaches 180F. Do not boil. Transfer to a small bowl and allow to cool slightly to 110F - 115F. Once cooled, stir in 1 Tablespoon sugar. Sprinkle the yeast on top. Set aside, and allow to get foamy. (The foam is a product of the yeast reacting with the sugar. It indicates that the yeast is active. If you do not see foam after a couple minutes the yeast are likely duds and you will have to start over with a new yeast packet). In a separate bowl, whisk together the egg, egg yolk, and vanilla. Set aside. In a bowl of a stand mixer fitted with a dough hook, combine the flour, 1/4 cup sugar, and orange zest. With the speed on low, add to the flour the egg mixture, followed by the yeast mixture. Continue mixing on low for 2-3 minutes until the dough starts coming together. The dough will look dry at this point. Increase speed to medium and mix for another 5 minutes until the dough is soft and smooth. Reduce the speed to low, add the salt and butter, one tablespoon at a time, waiting until it is fully incorporated before adding the next (see note). Once all of the butter is incorporated, increase speed to medium and beat for another 5 minutes until the dough is soft and smooth. Transfer the dough to a large, oiled bowl. Tightly cover with plastic wrap and a damp towel. Place in a warm spot for 2-3 hours, until the dough is double in size. Make the filling. Melt 3 ounces chocolate and the butter in a double boiler, stirring constantly (see note). Once melted, remove from heat, and wipe away the condensation from the bottom of the bowl. Stir in the powdered sugar, brown sugar, cocoa powder, and salt. Cool to room temperature. Grease a loaf pan and line with parchment paper. Set aside. Once the dough has risen, punch down the dough. Roll it out on a floured surface into a large rectangle. Spread the filling on top, leaving a 1" border. Finely chop the pistachios and 1 ounce chocolate, and evenly sprinkle on top of the filling. Starting with the long side, roll the dough into a tight roll. Press the edge to seal, and place face down. Cut the dough in half lengthwise. With the chocolate center of both halves facing upward, weave the two pieces like a braid, tucking the ends underneath. Transfer to the prepared pan, cover with plastic wrap, and wrap in a damp towel. Let rise for 1 hour. Preheat oven to 350F. 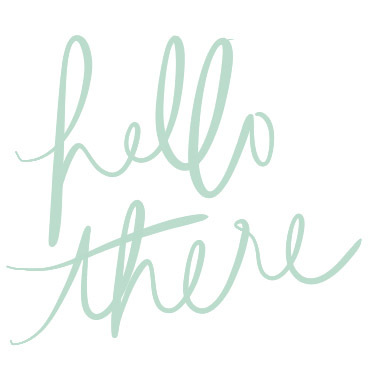 Brush the top lightly with an egg wash (1 egg + 1 Tablespoon water). Bake for 30-35 minutes until golden brown. Remove from the oven and cool completely. - When adding the butter, you may need to help the process by using a spatula to press the butter into the dough; otherwise, the dough will simply push the butter around the inside of the bowl. - How to set up a double boiler: Fill a small saucepan with 1-1.5 inches of water, and bring to a simmer over low heat. Place a bowl on top - one that rests comfortably inside the lip of the saucepan, but one that does NOT touch the water. Once the butter and chocolate are added, they will begin to melt from the steam's heat. Do NOT let water get inside the bowl otherwise the chocolate will seize.